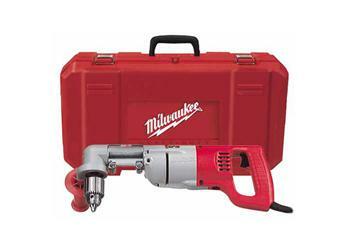 D-handle power and a right angle drive head make this drill package perfect for stud and joist drilling. Powerful 7 amp motors and three speed ranges make this a versatile tool that will handle a wide range of applications. The 3102-6 features a 500 rpm motor; this gives the two speed head 335 rpm on low and 750 rpm on high. These powerful units come in an impact resistant carrying case and include a side handle for ease of operation.